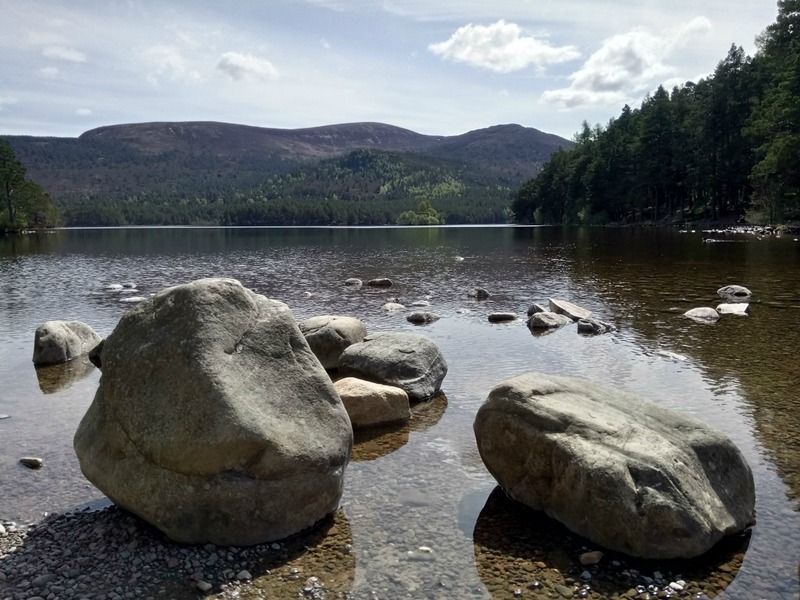 One week to the day from arriving at our Highland HelpX Hullabaloo we had our second day off and with the clear blue skies and warm temperatures decided to head up into the Cairngorms, a mountain range in the east of the Highlands. As always, we scheduled a few stops along the way that looked intriguing. 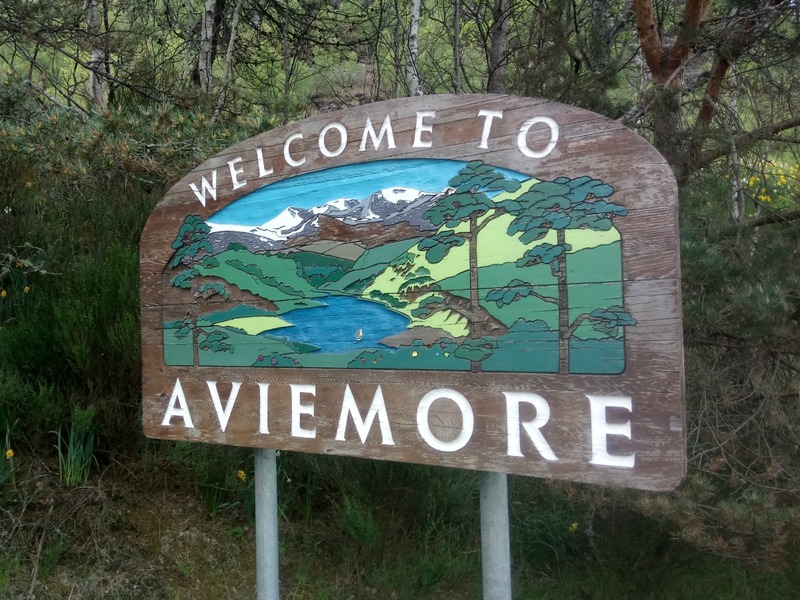 This town is about 12 miles south of Aviemore and has a couple of claims to fame. 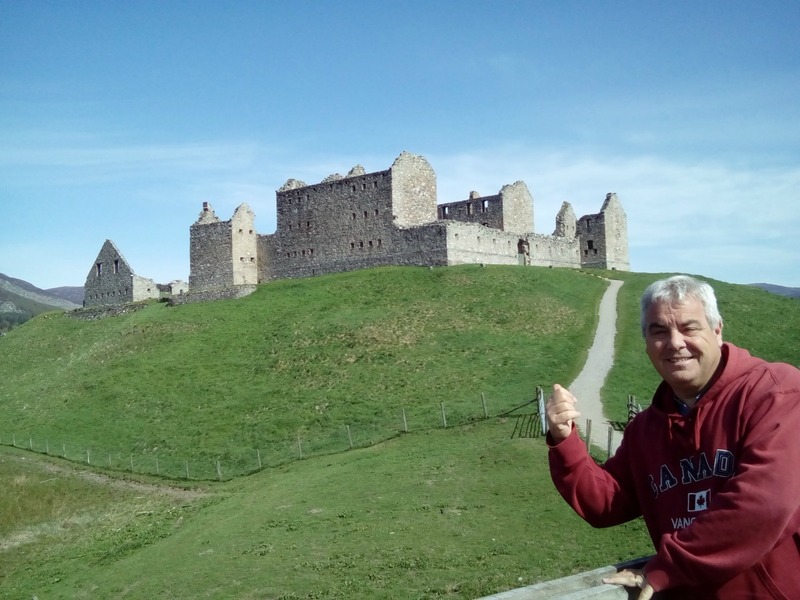 The first one was the reason we visited, Ruthven Barracks. 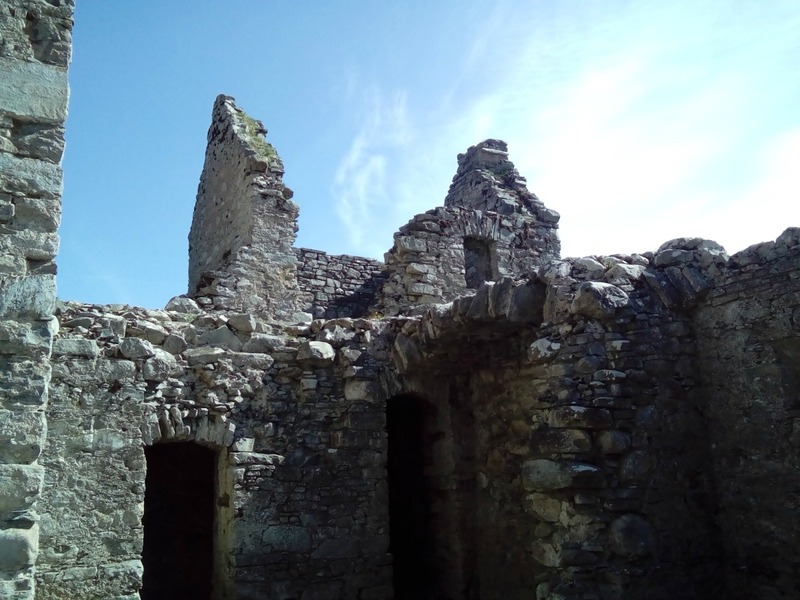 These quite well preserved ruins stand on the site of an old castle mound from the 1200s. The two large three-storey barrack blocks with parade ground in the middle could house around 120 troops but it seems it was never fully occupied. 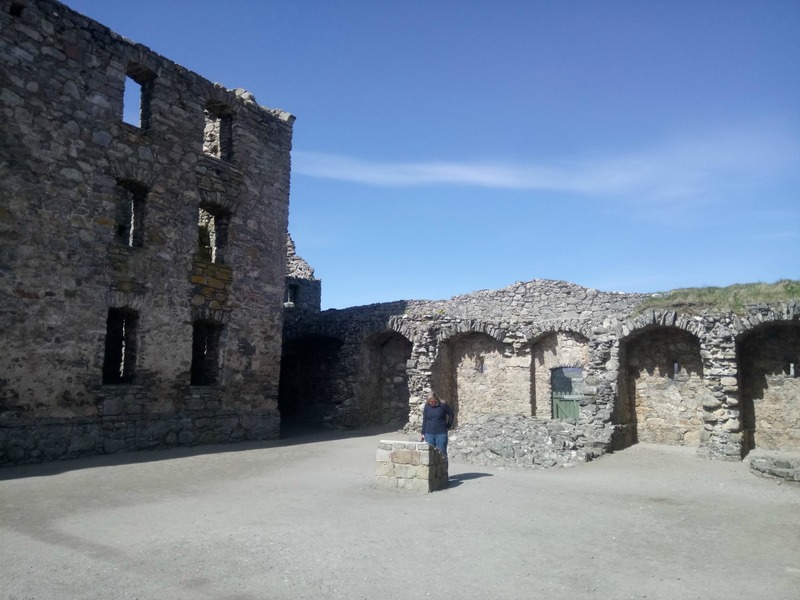 It was built by the Hanovarians in 1719 and in 1745 with just 12 men defended an attack by 200 Jacobites. It was eventually captured the following year by Jacobites retreating from the Battle of Culloden. There were amazing views and it feels a bit like a film set. Entrance is free through little gates that are open all the time. 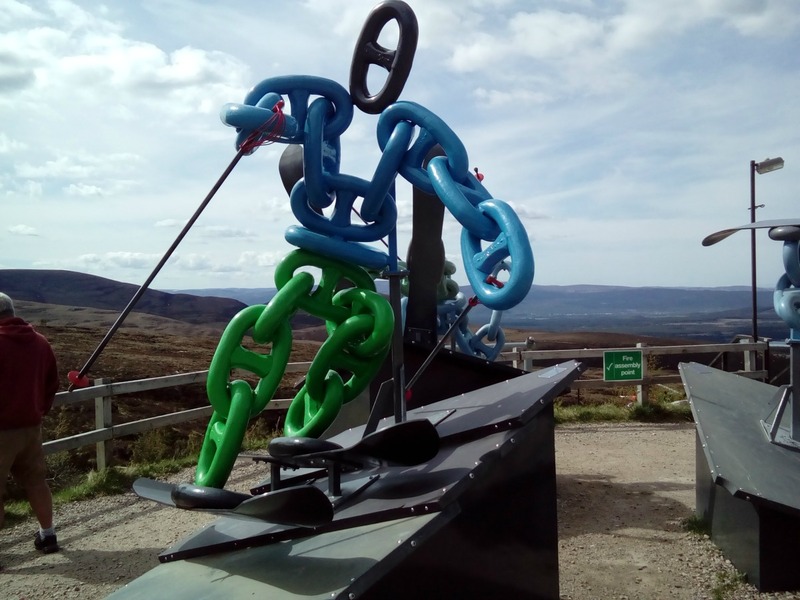 Two other facts we discovered about Kingussie is that according to the Guinness Book of Records 2005, Kingussie has the worlds most successful sports team of all time. The game is shinty which is similar to field hockey and that time they had won 20 consecutive leagues and went 4 years unbeaten at one stage in the early 1990s. The second claim to fame is that Kingussie featured in the film Slumdog Millionaire. Not sure where or how but it did. 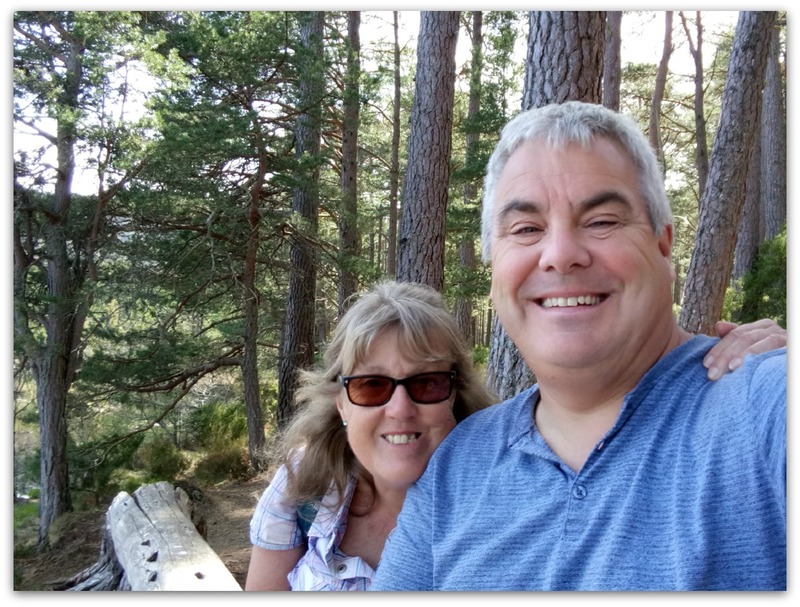 Rather than joining the main A9 again to get to Aviemore, we stuck to the smaller B roads and had a driver through beautiful pine forests and past many a stone cottage. After 20 minutes or so there was a sign to Loch an Eilein our next destination. 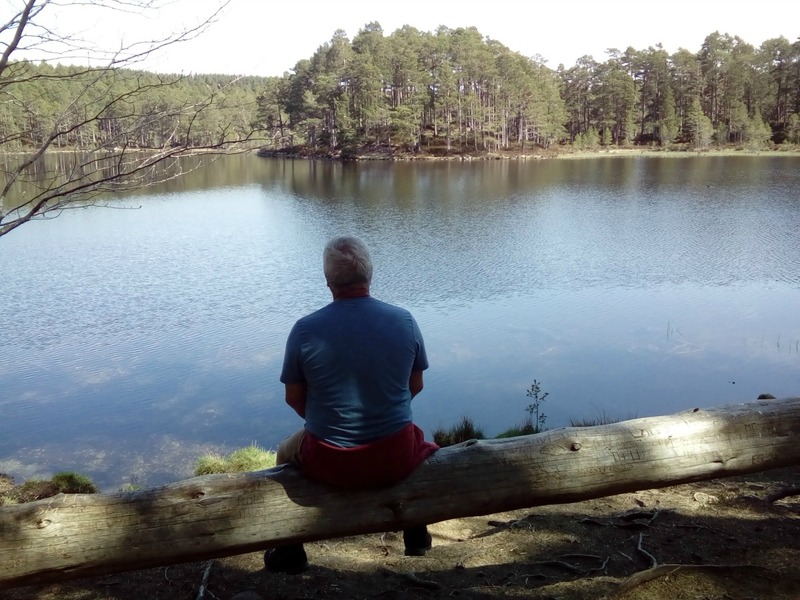 Loch an Eilein is part of the Rothiemurchus Estate which is privately owned but open for the public to walk, cycle, fish, look at Reindeer, kayak and so on. It was only £1.50 each to park and the day ticket can be used at any of the Rothiemurchus Estate car parks on that day. Loch an Eilein is a particularly beautiful loch with the ruins of a castle on an island in the middle. The island originally had a causeway to link it to the shore but this is no longer visible. The 4 mile circular walk took us around an hour and a half and included a stretch called the Thieves’ Road. Cattle rustlers used to steal the cattle along this track. So must so that the herders would leave two or three cows tied to a tree in the hope they would be a peace offering and the raiders would leave the main herd alone. Next stop was Aviemore. It is a busy thriving centre in the summer as well as in the height of the ski season. There were numerous coffee shops, mountain clothing shops and gift shops as well as the essentials. 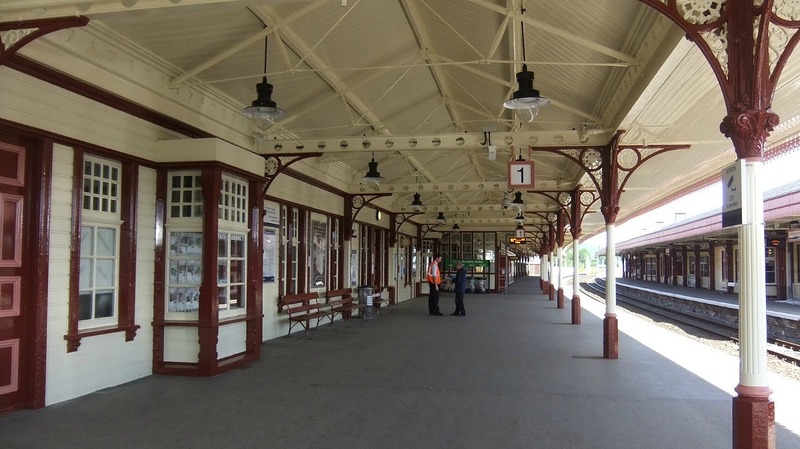 The railway station was a reminder of it’s roots long long ago before the likes of us turned up. 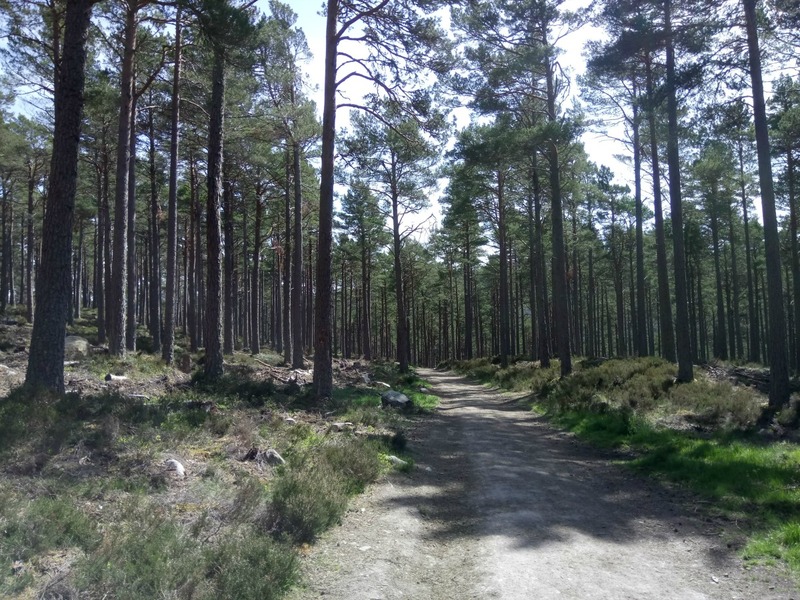 The Strathspey Steam Railway runs out of the station about three times a day taking you 10 miles along to Broomhill but we were headed for a different type of railway. 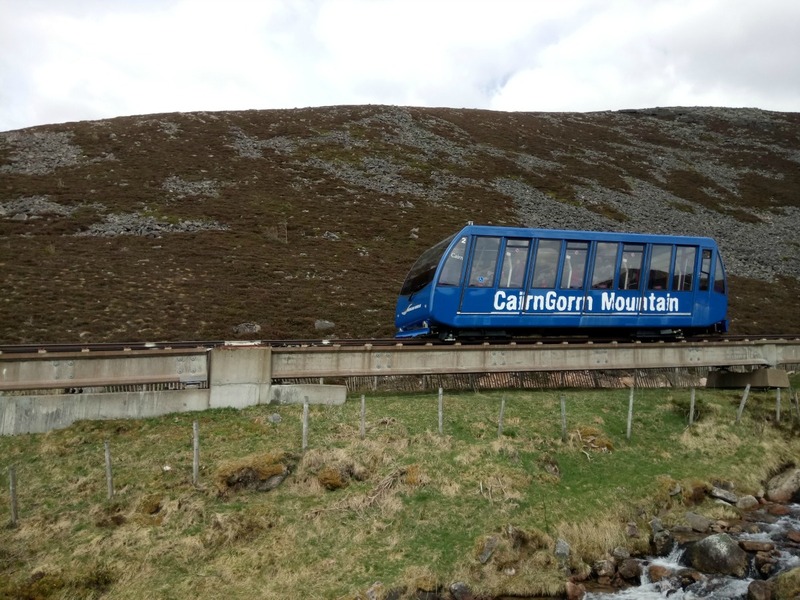 After a quick chat to a lady in the Tourist Information Office, we were weighing up whether we had time to head up Cairn Gorm on the Scenic Railway. The skies were clear which we were worried would not be the case if we came back another day but on the other hand we never like to rush around just to fit something in. 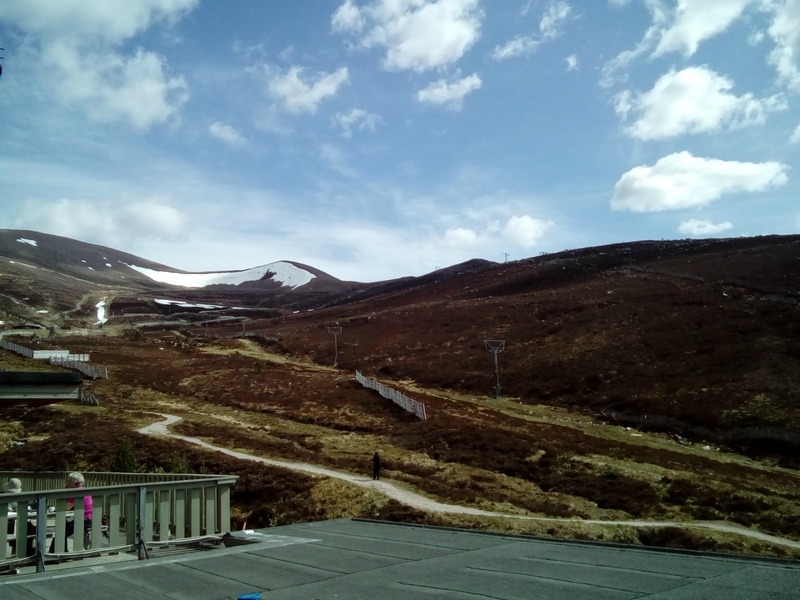 It was about 9 miles from Aviemore to the Scenic Railway Station which runs through the midst of the ski slopes and before we arrived we had more or less decided not to venture up by train. It costs £14.00 return each and you can’t ride up and walk down. You can, however, do it the other way round and walk up and ride down. I think this is something to do with erosion and just cutting down on the number of tourists wandering around in weather that can so suddenly change. It is just over 4000 ft high but the car park is at about 2500 ft so it is not too bad a hike. But for us today, it is just coffee and a view but we are armed with maps so that we can return and make a day of it exploring some of the tracks and views. 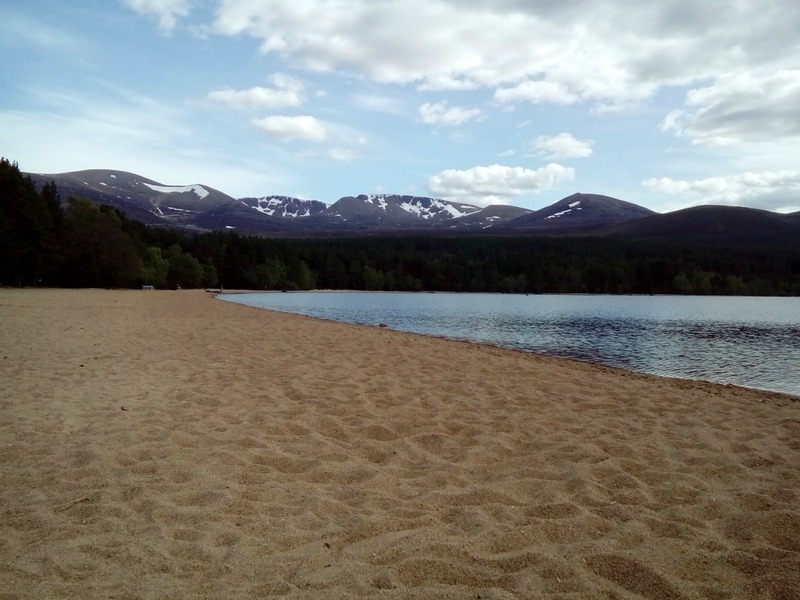 Last stop on the way back to Aviemore was Loch Morlich. This Loch is in the Glenmore National Park. There is a watersports centre and cafe, both of which are on a beautiful golden sandy beach. Yes a beach! At 300 metres above sea level and being a fresh water lake it seemed a bit crazy. On close inspection the sand has some fine warn down broken glass. 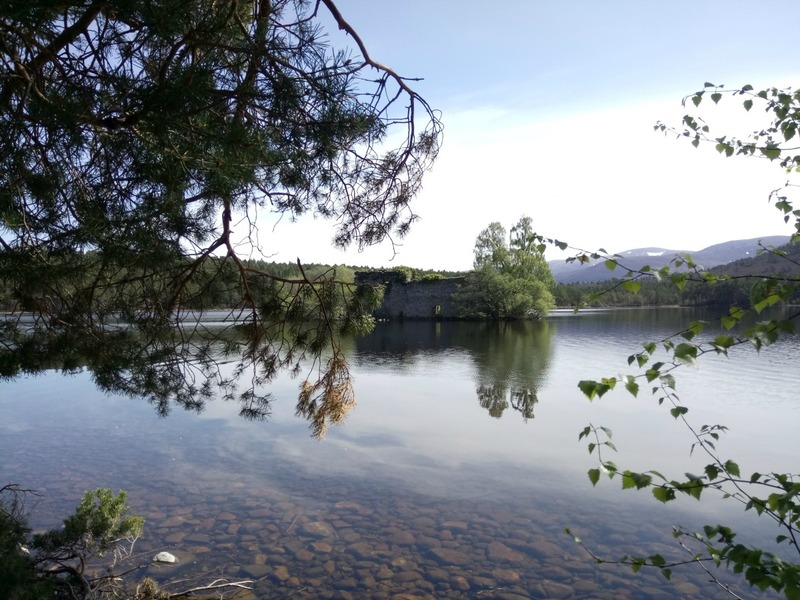 Not from careless tourists, I hasten to add but from WWII when Loch Morlich was a training camp for Norwegian soldiers. They were trained by the SOE (Special Operations Executive) there because it resembled Norway’s landscape and climate. Landscape maybe but today the climate was far superior to that of our Scandinavian allies. 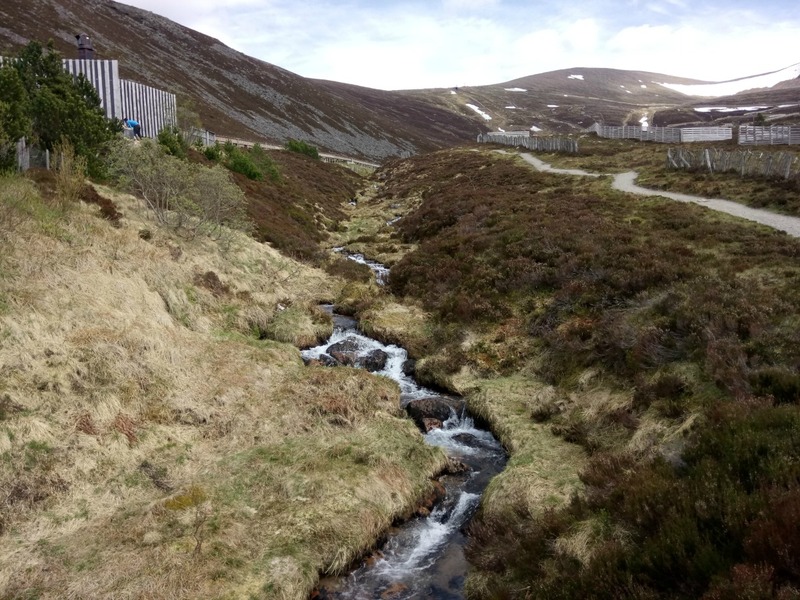 There is so much to see and do in the Aviemore area that, even though we had a full day, we haven’t even begun to scratch the surface but hopefully we will be blessed with good weather when we return so that we can scale the heights. Totally agree. The more we explore the UK the more we find it is hard to beat. 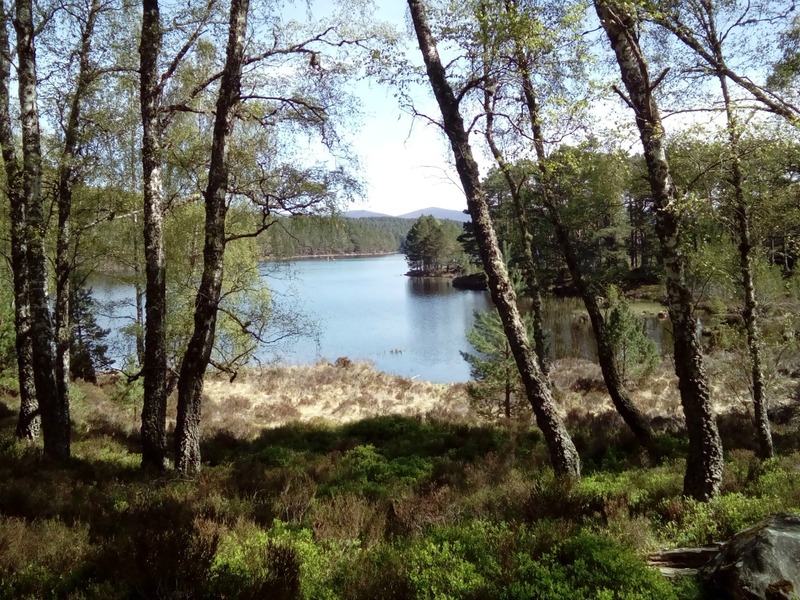 I holidayed in Aviemore every year with my family growing up until I went to University, and then started again when I was working in Aberdeen as an adult. It is a special place for me, one with a heap of fond memories. It has changed a lot though, used to be a quiet little village with a fraction of the buildings, now it is a bustling built up place. Definitely bustling and we preferred the surrounding area rather than the town itself. How wonderful to have so many special memories there though. 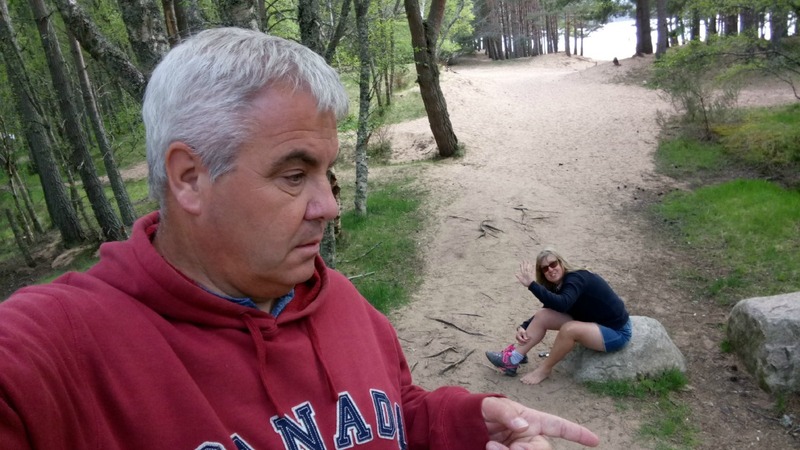 A beach in the middle of Scotland certainly sounds odd! It looks beautiful, but I bet that water would be freezing for paddling your feet in.. I did paddle and it wasn’t too bad. I would have added a photo but I think I overdid it a bit this time. Too many beautiful images. It’s so easy to take good photos in Scotland. Scenery is wonderful. Shades of Bled, Canada and Italy and it’s all in Scotland. Such an under rated place. 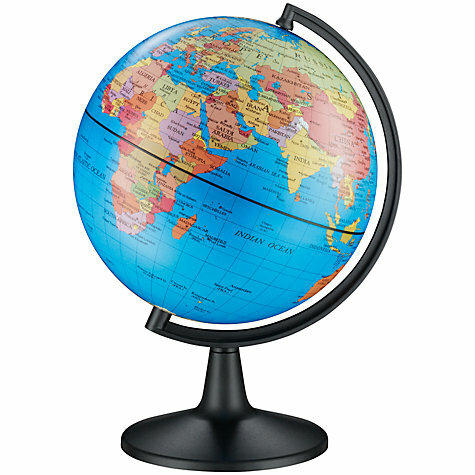 Can’t believe how lucky you’ve been with that weather, Crazy scenes. 19 days in and still sunshine…. I think we will pay for this during June and July! You have captured the area beautifully in your photos Jonno. I especially love the use of the boulders in the foreground giving that image such depth. Gorgeous. I feel like I want to go watch Slum Dog Millionaire so I can try to spot this type of scene in the filming. An interesting backdrop for a film about India. You’ve got me thinking…. Wow! 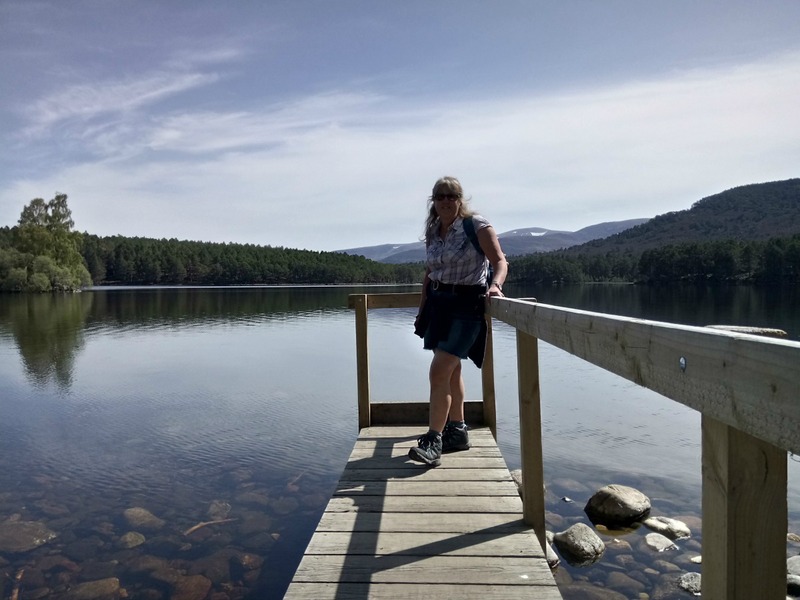 The Cairngorms seem like an awesome place for hiking, Joanna. Those views are exceptional and breathtaking. Are there any good rock climbing spots? The views are amazing and hopefully we captured a flavour it. Never been rock climbing but I am sure there are some great places up here for enthusiasts. It’s the island on the lake that grabs me, Jonno. 🙂 🙂 Love a romantic setting. Places like these always want me to dig deeper to see who lived there, when and what led to it becoming a ruin.